See [Rule.include] and [Condition] in the webpack documentation. Paths matching this option will be processed by polymer-webpack-loader. WARNING: If this property exists the loader will only process files matching the given conditions. If your component has a <link> pointing to a component e.g. in another directory, the include condition(s) MUST also match that directory. See [Rule.exclude] and [Condition] in the webpack documentation. Paths matching this option will be excluded from processing by polymer-webpack-loader. NOTE: Files imported through a <link> will not be excluded by this property. See Options.ignoreLinks. <link>s pointing to paths matching these conditions (see [Condition] in the webpack documentation) will not be transformed into imports. <link> paths matching these conditions (see [Condition] in the webpack documentation) will not be changed when transformed into imports. This can be useful for respecting aliases, loader syntax (e.g. 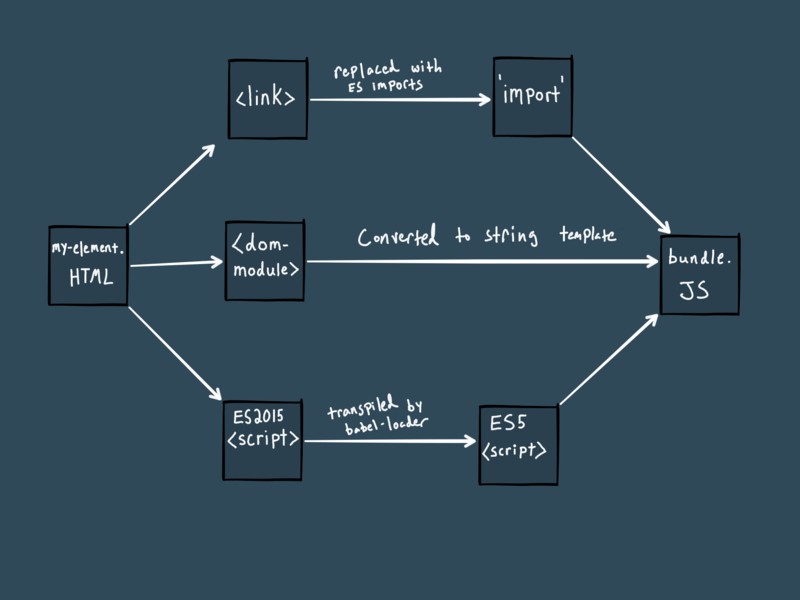 markup-inline-loader!./my-element.html), or module paths.